Following an incredibly successful festival run, Alfonso Cuarón‘s Roma is hitting big screens right on time for family, friends, and Thanksgiving break. 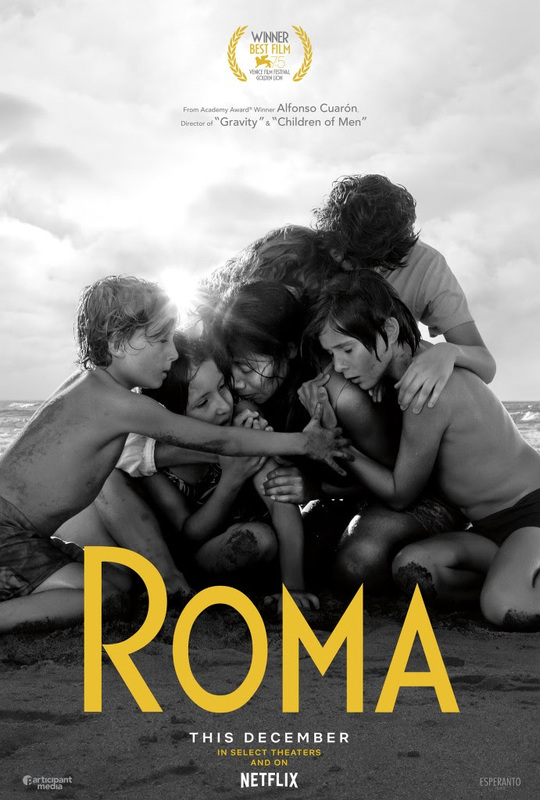 A glorious cinematic feast that Cuarón himself considers his “most essential film,” Roma is kicking off its limited theatrical release this Wednesday at the IFC Center and The Landmark at 57 West. Mexico’s Oscar submission is a film that deserves to be seen on the silver screen. You still have time to catch the Argentine Oscar submission El Ángel by Luis Ortega in its theatrical run at the Angelika over the holiday. “Highly entertaining and seductive” (Variety), the crime drama was inspired by the true story of serial killer Carlos Robledo Puch. And the week right after the holiday starts with a very special pairing of films by award-winning documentarian Beztabé García—winner of the award for Best Director and Best Documentary Film at the 6th annual Cinema Tropical Awards. Join us at Anthology Film Archives on Monday, November 27 for Unsilenced and King of Nowhere, presented as part of the Flaherty NYC Series.